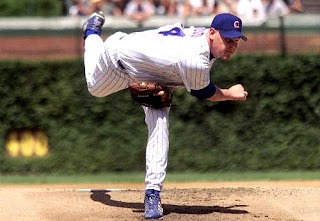 The Cubs have signed Kerry Wood to a 1-year deal. Exact details of the contract haven't been released, but it's rumored that the deal has no incentives and comes in at $4 million. I am very excited. I've loved Kerry Wood for as long as he's been a Cub. He's a gamer, he's tougher than a coffin nail, and he doesn't put up with your crap. - Was money in the 2003 playoffs until Game 7. And after he lost the game, he wanted to take the blame for the loss. That is classy. - Signed below market value with the Cubs 2 years ago saying that he felt bad that he'd been hurt so much during his time in Chicago and he wanted to make it up to the team. In other news, the list of potential players for the Hall Of Fame was released today. There's no sure-fire first ballot players, so it's probably going to be a pretty crappy class, if anyone gets elected at all. 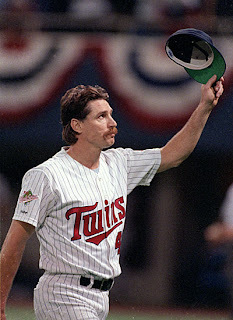 I'd like to show my support for Jack Morris. The guy won 254 games over his 18 year career. If he would have just won 2.5 more games per season, he would have been at 300 and a lock for the Hall. I'm sure that his bullpen blew at least 2-3 games for him every year. I know you can say that about most any pitcher, but seriously, the guy was good. He was a 5-time All-Star, he was the highest paid pitcher in the Majors for 4 seasons, and he ranks 8th in baseball history for most wild pitches. And he holds the record for most consecutive Opening Day starts at 14. "I don't talk to women when I'm naked, unless they're on top of me or I'm on top of them." How Far Will Aaron Harang's Arm Fly?